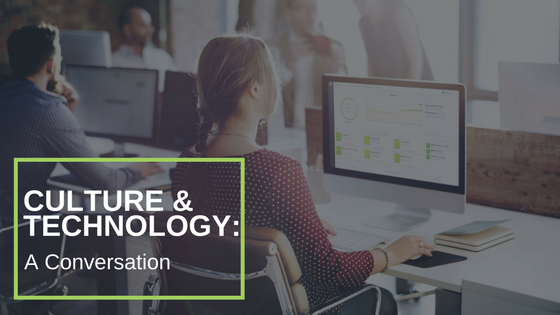 On Thursday (10/19) from 11:30am to 1:00pm, Personify will be hosting a panel discussion on how technology can enhance organizations’ people strategy to promote an inclusive and engaged company culture. The conversation will be moderated by Dana Kuhn, Personify’s Director of People, Strategic Services, and Partnerships, and feature demos from HR Tech start-ups PeopleLove, Peakon, and All Elements. Join us to discuss and learn tools, tips, and strategies from Triangle HR leaders for promoting employee engagement, goal alignment, and recognition. PeopleLove develops and sells a cloud-based platform for leaders to improve their organization’s cultures through engagement, recognition, and performance programs. PeopleLove is based in lovely Downtown Durham, North Carolina. PeopleLove was founded by Joe Colopy and Jeff Turner in May 2017. Prior to its co-founding, Joe was the CEO and co-founder of Bronto Software. Bronto is the leader in commerce marketing automation and now part of Oracle, after being acquired in 2015. Peakon is one of the fastest growing enterprise employee engagement platforms globally. The platform provides a real-time data-driven approach to measuring and tracking employee engagement through a continuous dynamic survey experience and customized manager dashboard views. It is designed to be easy to set-up and can be accessed from any device, including the ability to survey via text message and kiosk modes to support all the workforce. The platform is trusted by large global organizations and government agencies to increase workforce productivity through data-driven employee engagement. Based in Peakon’s London office, Neil Ryland heads the company’s commercial operations. Neil has assembled a talented team to lead the transformation of how businesses understand and improve employee engagement through their partnership with Peakon. Previously, Neil was part of the founding commercial team at Huddle, a leading enterprise content collaboration platform for governments and enterprise. As the company’s Chief Revenue Officer, Neil built teams in multiple regions and oversaw the rapid expansion of a UK basement start-up to a global company. Nearly 3 out of 4 companies underperform due to poor alignment of their goals, strategies, and people. All Elements‘ software platform connects the work performed by your people to the purpose of your organization. We do this by linking everyone’s work activities to company-wide goals, assessing and adjusting performance in real-time and making progress visible and trackable to everyone in your organization. At All Elements, we believe that it’s your people performance that drives your business performance. Mutuk founded All Elements after years of frustration in following inefficient performance management processes at Fortune 100 companies. Prior to founding All Elements, Mutuk managed multi-million dollar accounts for IBM’s Consulting division for over 15 years. Mutuk holds an MBA from the University of North Carolina at Chapel Hill and a Bachelor’s Degree in Mathematics from the University of Madras, India. Dana Kuhn has over 10 years of experience in executive people operations in SF Bay Area tech start-ups such as Location Labs, Jawbone, and hi5 Networks. In her professional experience, she has scaled companies from 50 to 200+ and managed executive leadership teams through exit events. Dana holds a J.D. from UCLA Law School and an LLM from UC Berkeley School of Law, specializing in employment law and organizational development. Her post-graduate work focused on the impact of diversity initiatives on organizational culture and commitment in high performing technical firms. She is currently the Head of People, Strategic Services, and Partnerships at Personify, where she manages internal people operations and advises multinational clients on best practices in hiring, retention, and diversity initiatives. Lunch will be served at the event. Please RSVP here.